From Berkeley to the Bronx, teenage addiction has reached epidemic levels. Parents may suspect their teen’s substance use, but often don’t know if their teen is addicted or what to do about it. 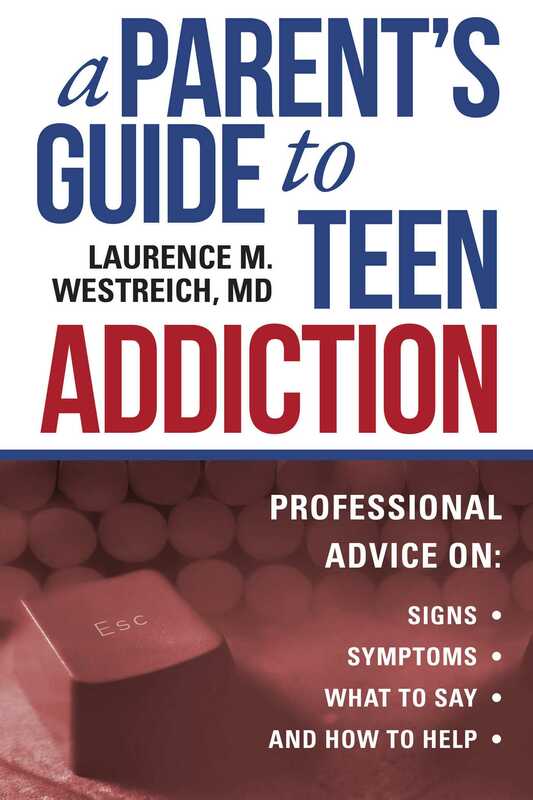 Dr. Laurence Westreich, an addiction expert and the father of two teenagers, helps parents navigate the fraught addiction landscape in A Parent’s Guide to Teen Addiction. Divided into three sections, this book—based on the author’s decades of experience evaluating and treating teenagers who use substances—guides parents from the moment they suspect their teen has a substance abuse problem to the steps families must take after intensive treatment. Dr. Westreich: •Lays out the facts of teen addiction and explains how to recognize a problem with a teen •Details what parents need to know about the substances that teenagers commonly use •Provides information on what to do about the substance abuse, including how to find good one-on-one addiction therapy, how to encourage a teen to enter an outpatient program or inpatient facility, and how to line up aftercare treatment Best of all, he includes “tough talk” dialogues that parents can tailor to their specific situation with their teen. This practical, hopeful, and reassuring book helps parents put their teen on the healthy and life-affirming road to recovery. Laurence M. Westreich, MD, is an addiction psychiatrist, a professor at NYU Medical School, and the author of Helping the Addict You Love. He has appeared on CNN, MSNBC, WABC-TV, Fox News, Radio America, Sirius Satellite Radio, WOR-AM, and AP Radio Network, and speaks to schools and community groups on an ongoing basis. He resides in Montclair, New Jersey.